We survived the dot-com boom and bust, and have been building and evolving our business ever since. V1.0 MBA GlobalNet started out as MBA Interim Solutions in 1997. Our mission was to provide project work for experienced MBAs. V2.0 We changed our name to MBA FreeAgents in 1998 due to a Cease and Desist order from Interim Services, a $2 Billion company. V3.0 We evolved into MBA GlobalNet in 2001 as it was evident that we had outgrown the "free agent" movement not only because many of our members wanted full-time jobs, but many of our dot.com "free agent" peers, who raised gigantic sums of venture capital, failed. V3.1 MBA GlobalNet submits proposal June, 2002 to State of New York and receives $250,000 grant to provide volunteer consulting to downtown small businesses near WTC who were affected by 9/11. MBAs4NYC receives 501(c)3 non-profit status in September, 2002. 14 months later -- 90 companies serviced by 3000 volunteer hours, many of them by MBAGN members. V3.2 MindForce Consulting spun out as separate company in January, 2004. In many ways, it is MBA FreeAgents 2.0 based on our understanding of how and why companies find and hire independent consultants. V4.0 (10/04) MBA GlobalNet relaunches with our 3 Network Hubs and new subscription-based business model. V6.0 (5/11) MBA GlobalNet relaunches web site and announces search for new ideas and leadership (in the LinkedIn, FB and Twitter era). 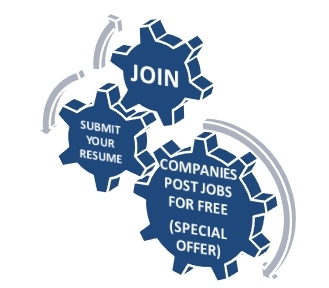 Offers free Job Board Postings through end of 2011.